Are you looking for contact information for a particular State EMS Office? Go to our State EMS Directory. Mr. Mark E. King (1953-2006) was the State EMS Director for West Virginia, a former NREMT board member, and an EMS provider for over 25 years. He envisioned a national EMS system in which states require EMS providers to maintain their National EMS Certification. Mr. King saw National EMS Certification as a means of moving the EMS profession forward while promoting National EMS Standards. It is in recognition of his vision and contributions to the EMS Community that this initiative is named in his honor. The National Registry of Emergency Medical Technicians’ Board of Directors, in keeping with their mission to support National EMS Certification, established the Mark King Reinstatement Initiative (MKI) to provide an opportunity for EMRs, EMTs, AEMTs, and Paramedics who were previously Nationally Certified but let their NREMT credential expire, to regain their National EMS Certification without testing. To assist State EMS Offices with re-licensure processes. EMS providers enrolling will be certified at the provider level at which they were last Nationally Certified. 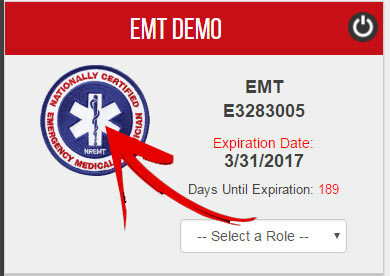 Candidates apply for the Initiative via the NREMT website; pay the current recertification fee: EMR $10.00, EMT/AEMT $15.00, Paramedic $20.00; NREMT issues appropriate National EMS Certification; EMS provider maintains National EMS Certification according to State EMS licensure rules, regulations or statutes. Before a Training Officer can request the Training Officer role, they must have a NREMT account. If you already have a NREMT account, do not create a new account. See the section below "Add the Training Officer Role to my NREMT Account" for detailed instructions. This video describes how to create a NREMT user account. The NREMT provides verified State EMS Officials and Regulators access to restricted resources, tools, and data feeds. To request access to these resources, the State EMS Director must contact the NREMT. Add the State EMS Office user role to my NREMT account? 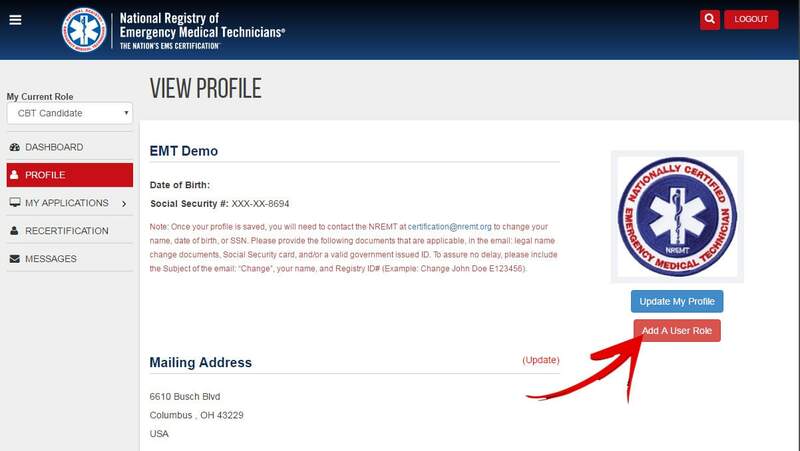 Login to your NREMT User Account. What is a Governmental Authorized Agency? Governmental Authorized	Agency – Agencies	who	have employees	who	in	the	course	of normal	job	activities	may	be	required	to	provide	emergency	medical	care	and	the agency functions	in	a	multi-state	environment,	or	on	non-federal	land. These	providers	do	not	generally transport	patients	as	part	of	their	primary	care. Their	system	of	care	does	not	fit	within	the	usual models	of	state	EMS	licensure. State Director Equivalent – Assigned	agent,	responsible	for	overall	system. State	Training	Coordinator/Credentialing	Equivalent	Agent – responsible	for	approval	of education	programs,	has	oversight	and	experience	in	approving	education	programs	to	validate they	meet	or	exceed	national	EMS	education	standards. Any	paramedic	education	program authorized	by	the	State	Director	Equivalent	and	be	accredited	by	CAAHEP. Validates recertification	education	for	certified	providers,	approves	the	system	of	agents	that	sign recertification	applications. State	EMS	Medical	Director	Equivalent – Has	medical	oversight,	assures	providers	are educated	to	the	minimal	competency	levels	of	care	outlined	in	the National	EMS	Scope	of	Practice Model,	oversees	medical	quality	assurance	and	reports	disciplinary	actions	taken	against providers	to	the	certification	agency. Disciplinary Policy – has	a	method	in	which	incompetent	acts	or	criminal	convictions	that	result in	removal	of	the	ability	to	practice	are	reported	to	the	certification	agency. Patient	Safety	Program – Utilizes	patient	care	reports	to	document care. All	requests	for	recognition	as	Authorizing	Agency	will	be	provided	to	currently	known	State	EMS Licensing	Agencies	prior	to	NREMT	recognition.